Are you ready for complete conditioning for volleyball? It continues to amaze me to see volleyball coaches still using outdated conditioning methods that have long been proven useless and ineffective. How is thirty minutes of low intensity jogging going to prepare you for the 5 to 15 seconds of high intense action that occur in volleyball? It isn't. Often the biggest mistake coaches make is not training the correct energy systems. If exercising at a low intensity for a long period of time isn't the answer, then what is? To answer that question let's briefly look at what occurs in a volleyball match. In high school volleyball, a match usually consists of match play, best of 3, with all games played to 25 points. Some states are playing best of 5 matches. To be successful in volleyball, you need to be able to perform quick explosive movements such as short sprints, quick lunges to the side, quick approaches to jump and hit, and jumps to block. Rallys last, on average, for 6 seconds. A players intensity of effort should be much greater during the rally than between rally's. The time between rallys is when the player recovers. This is the difference between using your body's anaerobic energy systems and aerobic energy systems. Obviously, a volleyball team's scheduling and playing format varies from state to state. For example, a high school volleyball team may have one match on Tuesday, another on Thursday, and a volleyball tournament on Saturday. A high school volleyball team in another state could play tris or quads instead of matches. This is where 3 or 4 schools meet and play 2 or 3 matches all on the same night. You will have to build the right type of anaerobic endurance to play optimally for 3 matches instead of only one. For example, if your volleyball team plays 3 matches a night, your complete conditioning for volleyball should be modified to prepare for this. To compete at a high level for all 3 matches, your conditioning should involve more power endurance training. Collegiate volleyball matches are usually best of 5, with games to 30 points, 5th game to 15. With college matches being longer, always guaranteed of at least 3 games to 30 points, the college volleyball player needs a higher level of power endurance than the high school volleyball player. Probably the biggest mistake volleyball coaches make when conditioning their players. A complete waste of time. Running could be used as a part of recovery from intense workouts, but it really isn't appropriate for volleyball players. Using machines such as treadmills, ellipticals, and stair climbers arent the best method for your volleyball conditioning. Machines aren't functional for the volleyball athlete, that is, when using a machine you arent using your body the way you would on the volleyball court or in real life. You arent going to be a better volleyball player from biking. Your muscles are used in a completely different way on a bike than they are when playing volleyball. A good rule to have for conditioning is to keep your training ground based. Your conditioning should take place with your feet in contact with the ground because the majority of movements in volleyball take place in this position. Free weights and medicine balls are common tools for weight training to increase strength and power. 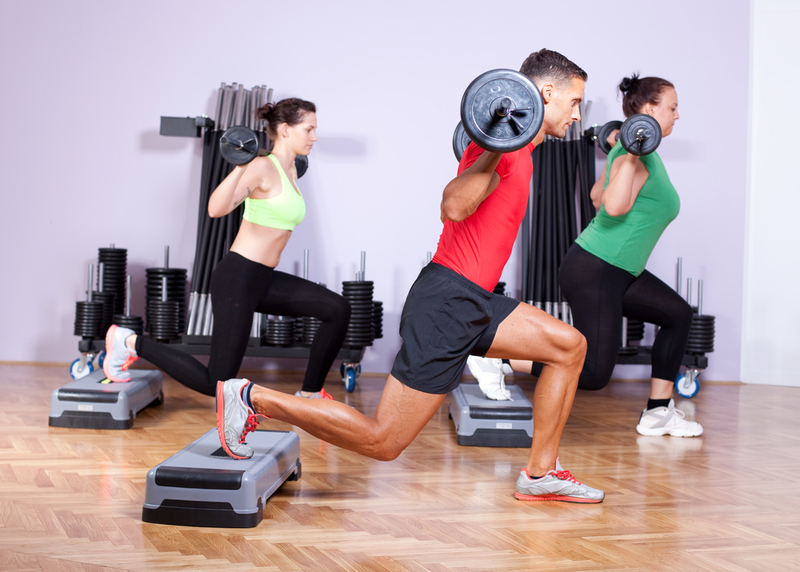 It's important to understand that free weights are a form of anaerobic training. Weight training should mainly consist of performing exercises with low repetitions at high intensities with rest periods between sets. 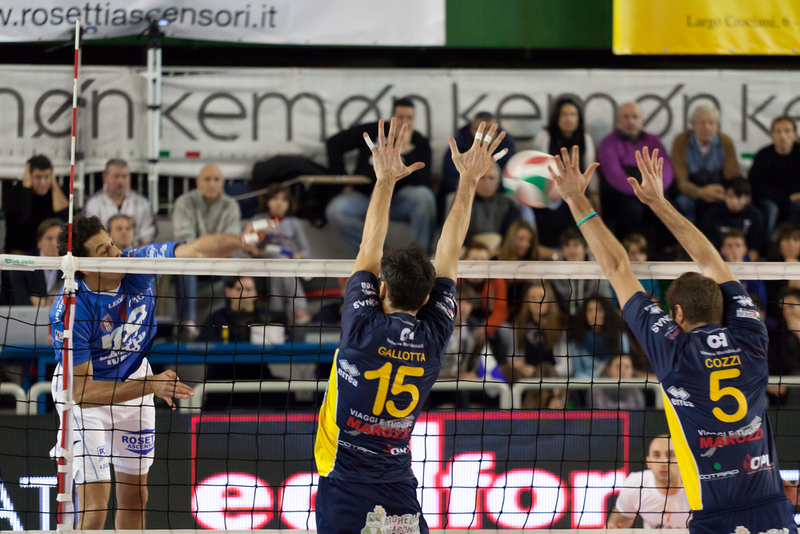 A big part of volleyball is the spike approach and the block. It only makes since to train your body to jump higher, faster, and more explosively. While long slow running is completely worthless, sprinting is effective for getting volleyball players into shape. Common types of sprinting are court suicides, hill sprints, and sprints up stairs. Developing speed through conditioning is often combined with plyometric and agility movements. It's important to note the difference between aerobic and anaerobic conditioning. During aerobic exercise, the athlete is recovering during the exercise. 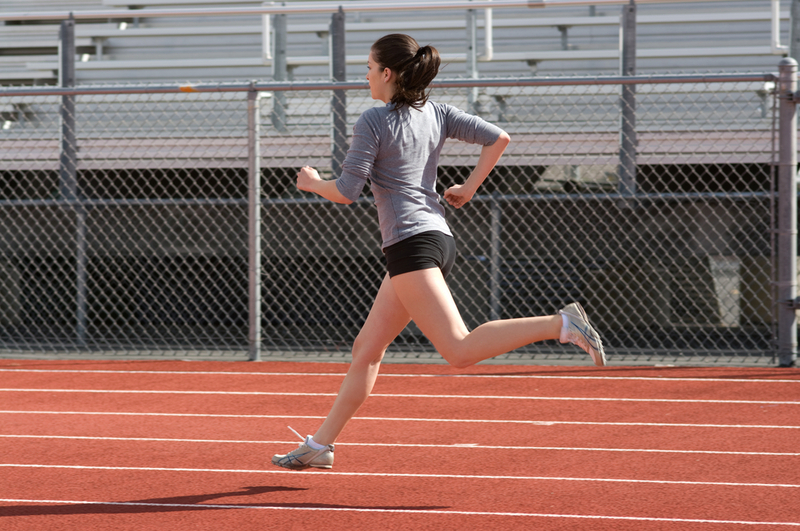 During anaerobic exercise, the athlete recovers between the bouts of exercise. Remember, volleyball is a game of high intensity effort with rest periods between efforts. Anaerobic training should be the focus of conditioning, with the goal to increase power endurance. Volleyball conditioning should be designed with the work to rest ratios that closely mimic the work to rest ratios of your volleyball match.